Berlin is an old city filled with a rich and dark history, but it's also a modern haven for artists and creatives. It feels like Europe's Brooklyn - filled with trendsetters, startups, and third wave coffee lovers. You can spend your days soaking up Berlin's world-renowned museums, cutting-edge art exhibits, gourmet food; and then spend your nights trying to keep up with the late-night partying locals. 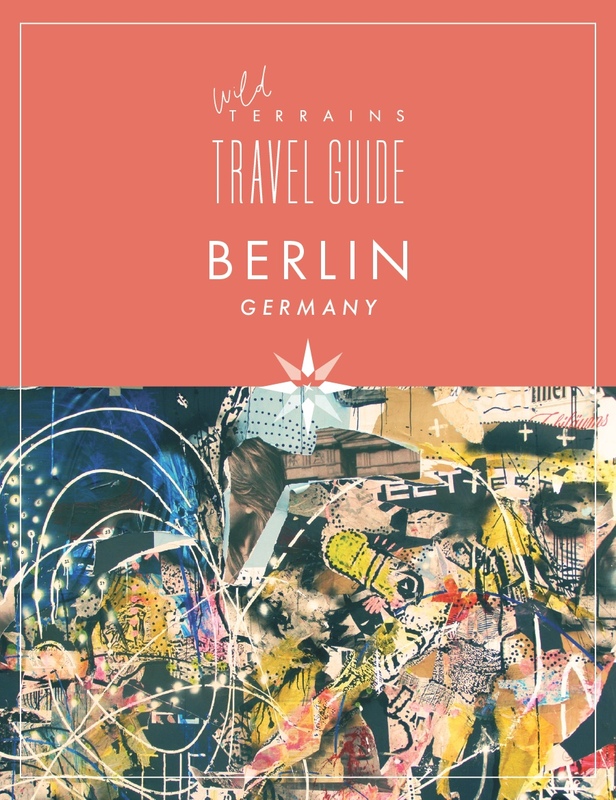 This travel guide has information on where to stay in Berlin, what to see, and our favorite spots to eat and drink. There's also a downloadable three day itinerary available at the very end. Use the table of contents to jump around! While Berlin doesn't have the outward charm of a European city like Paris or Rome, it's neighborhoods have a ton of personality and are super fun to explore. Our favorite neighborhoods are Mitte, Prenzlauer Berg, and Kreuzberg. Mitte is a vibrant, upscale neighborhood filled with stylish cafes, art galleries, and historic sites. Prenzlauer Berg is more residential with cute cobblestone, tree-lined streets, but tons of restaurants, cafes, and boutiques to choose from. Lastly, Kreuzberg is Berlin’s newer artistic hub - it’s grungy, it’s authentic, and it stays up late. Some people will find it hard to see the charm in Kreuzberg (it has a similar feel to NYC's East Village/LES when it started to gentrify back in the late 90s), but we think it’s an important place to explore to really understand Berlin’s culture. It’s hard to go wrong in Berlin. The hotels get an A+ for design and price and there are a ton of fantastic Airbnb options. For hotels, take a look at the options available on Tablet Hotels (our fave). For Airbnb, we suggest exploring options in Mitte and Prenzlauer Berg. Location, location, location - right in the heart of Mitte and walking distance from most of the things in this guide. Recommended to us by travel friends who we really trust and they loved their stay here. Sophisticated decor and design. Prices start at around $165/night. #WildTerrains tip: Breakfast is not included and kind of overpriced - just venture out to a local cafe! A very hip hotel focused on design. Overlooks the Berlin Zoo (yes, you can watch monkeys from your room!). Rooms are on the smaller side, but that’s pretty standard for Berlin, and you’re going to be out most of the time anyway! Prices start at around $230/night. #WildTerrains tip: NENI restaurant and Monkey bar on the rooftop have unmatched 360 degree views of Berlin. This is our favorite restaurant in Berlin. The decor is super cool - there's really fun art all over the walls and big leather booths. The food is to die for - innovative Latin/Asian fusion (we know it’s not German food, but just trust us!) - order anything, you can’t go wrong. #WildTerrains tip: Definitely make a reservation beforehand. Also, bring cash - they don’t take credit cards. This is our second favorite restaurant in Berlin (right after The Pantry). Gorgeous restaurant (get ready to take lots of Insta snaps), great service, really yummy organic food. Everything on the menu looked delicious, but we were told to order the Duroc Pork for two and it was fantastic. #WildTerrains tip: You should definitely plan ahead and make a reservation, or you risk a long wait. Reserve a table here! Brooklyn brunch in Berlin? Don’t mind if we do. Berliners party late, so finding a really good spot for recovery brunch the next day is key. HOSW is actually an offshoot of a Brooklyn restaurant and is a really good spot for American style brunch. Think eggs benedict and strong coffee. Quirky decor and fun atmosphere. Cash only. This is a fabulous indoor market that offers a huge selection of gourmet food, beer and wine. Tons of food options, best for sharing. Check regular hours before you go since they can vary. There is a weekly community pop-up event on Thursdays from 5-10pm called Street Food Thursday. This food experience is a must. #WildTerrains tip: Make sure to arrive hungry…you’re going to want to eat everything. Oh, and get there early to avoid lines. This is a really cute European cafe around the corner from Sammlung Bros. It has cozy little tables and nooks and the walls are bookshelves filled with books! Perfect spot for lunch and people watching. #WildTerrains tip: Service can be a little leisurely - but you’re on European time - put that watch away! A super sultry and lively cocktail bar. Not quite a speakeasy, but Würgeengel has a charming unpretentious feel. Sit at a cozy little table with leather booths and let one of the super knowledgable bartenders bring you drink after drink. If you’re anything like us, they’ll have to kick you out to get you to leave or you never will. #WildTerrains tip: The bar is smokey, like a lot of Berlin bars and clubs. Embrace it (if you can)! It’s part of the Berlin experience. #WildTerrains tip: Feeling adventurous? Ask the bartender to make you a bartender’s choice cocktail based on the flavor profiles you like most. You’ll be BFFs in no time. This is an outdoor bar on the roof of Hotel de Rome. Gorgeous views of the city’s historic center. Open only during in the summer months, as long as it’s not raining! Great spot to rest your feet after a day of exploring. One of the top wine bars in Berlin, specializing in local German and Austrian wines. Really cute decor. Great for a drink before or after dinner. Not open on Mondays. #WildTerrains tip: We can’t vouch for it because we didn’t have it, but we’ve heard the black pudding pizza is bonkers good. Considered one of the best coffeeshops in Berlin. A short stroll down the street from Checkpoint Charlie on the west side. It has a cool modern feel inside and a really good cup of joe. It’s a great break from the tourist mobs in the area. #WildTerrains tip: Check out all the magazines on the bookshelves. You can get a great sense for modern Berlin culture just flipping through them. The Barn is world-renowned for its in-house roasting program. These people take their coffee seriously, but that means even the biggest coffee snobs will be a happy camper at this coffeeshop. #WildTerrains tip: Want to be a student for a day? The Barn has roasting, brewing, and barista workshops that you can book here. The DDR Museum is an interactive museum focusing on everyday life in former East Germany. They have a ton of hands-on exhibits. The set up can feel a bit like children’s museum at times and it was pretty crowded when we went, but we still thought it was really fascinating! You even get to walk through a recreated East German home - you can open the drawers, books, sit on the couch and listen to the radio. #WildTerrains tip: Definitely book tickets in advance to avoid waiting in line. This is an outdoor and indoor history museum located on the former SS headquarters. The museum documents a very comprehensive history of how the Nazi regime came to power and what happened during their reign. It’s heavy material, but pretty interesting considering it’s told from the German POV. You don’t need tickets in advance here. #WildTerrains tip: Plan to take a few hours after to decompress. This space is a converted WWII bunker and holds a private collection of contemporary art from the Boros family. The art is very very contemporary and dates from 1990 to present day. The exhibition space is really interesting because you can still see remnants from the war. You can read more about the history of the bunker here. You have to have advanced reservations. Book here. #WildTerrains tip: Skip this if you don't appreciate modern art - it will be painful otherwise. Berlin is known for it’s nightlife - and we’re not talking about closing down the bars at 2am - Berlin is on a whole other level. The clubs open on Friday night and stay open until Monday morning - and yes, rumor has it people stay out the entire time (yep, you read that right). There are tons of clubs to choose from (Berghain, Bar 25, Watergate, Weekend, Kosmonaut), but honestly the best way to find out what’s hot that night is to go have cocktails at 1am and ask one of the bartenders where you should go next. The lines can be long depending on what’s going on that night, but a knowledgable bartender should be able to point you in the right direction! #WildTerrains tip: We didn’t stay out all weekend, but we had a blast dancing until the sun came up. #ProTip: Have an espresso (or two) at midnight. One more step...we just need to confirm your email address...and your Three Day Itinerary for Berlin will be on it's way to your inbox! Happy travels!